Arca Series ‘Music City 200’ at Fairgrounds Speedway Nashville After a nearly two-month break from competition, ARCA Racing Series presented by Menards Series will race tonight in the ‘Music City 200’ at Fairgrounds Speedway Nashville. The series kicked off the 2018 campaign with the 55th running of the Lucas Oil 200 Driven by General Tire at Daytona February 10. The ‘Music City 200’ is Round #1 of the 2018 Sioux Chief Short Track Challenge. 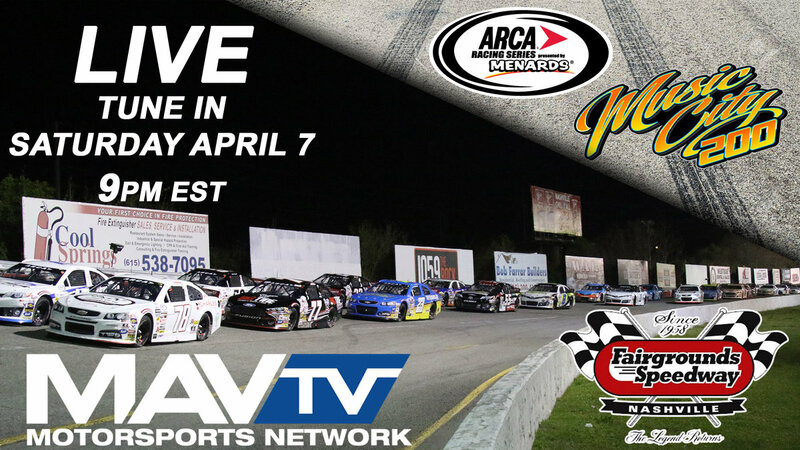 Jim Tretow and Bob Dillner will bring you the call of the Music City 200 live from Fairgrounds Speedway Nashville, along with former NASCAR / ARCA race winner Mike Wallace on Pit Road. 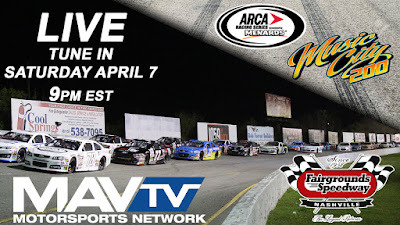 The Sioux Chief Short Track Challenge is a series within the ARCA Racing Series, with drivers earning points toward a championship contested on tracks one mile or less in length. The eleven events that will make up the Short Track Challenge kick off with tonight’s ‘Music City 200’ from Nashville, and will conclude with ARCA’s 104th race event at Salem Speedway in September. On February 10th, Self took home not only his fourth win in his last five races, but also the biggest win of his career when he took the No. 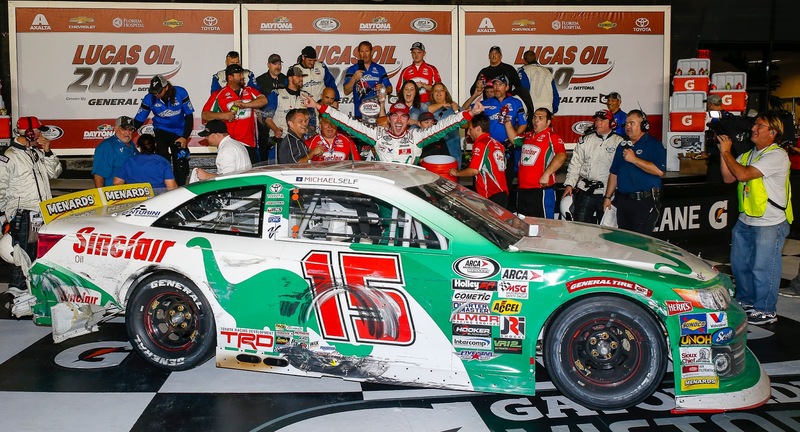 15 Sinclair Oil Toyota Camry to victory lane in the 2018 ARCA Racing Series season opener at Daytona International Speedway. The win marked Self’s second career ARS victory, and was his second win in a row in the series after he won the 2017 season finale at Kansas Speedway. Tonight, Michael will take the wheel of the No. 55 Sinclair Oil Toyota Camry at the historic Fairgrounds Speedway Nashville. This will be Self’s first visit to the half-mile track which opened in 1904. Self enters the weekend leading the ARCA Racing Series Championship point standings. 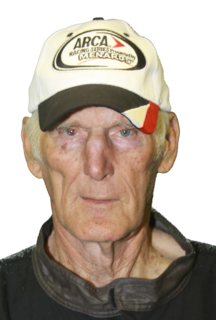 Wayne Peterson has been a fixture on the ARCA Racing Series tour for decades as both a car owner and driver. One of the most respected ARCA members in the garage, Wayne is a decorated war veteran, serving in several tours of duty during the Vietnam War. As was rare to the Vietnam era, Peterson was not drafted; he enlisted. Since his service he has fielded cars for dozens of drivers in the ARCA ranks over the years, including the Dodge that James Swanson drove to a 9th place championship points finish in 2014. Wayne also finished a career-best 15th and 16th in car owner championship standings in 2014, and 19th in 2015. Coming off a career best fifth-place finish in the season opener at Daytona two months ago, rookie Natalie Decker is more than ready for the Music City 200 at Fairgrounds Speedway Nashville Saturday night. Decker, in the midst of running her first full ARCA Racing Series presented by Menards schedule, will be back behind the wheel of the Venturini Motorsports No. 25 Capital Partners-People Against Distracted Driving (PADD) Toyota Camry. “I’m excited to get back in the car at Nashville,” said Decker. 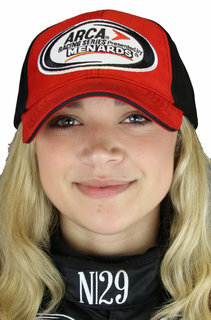 “This is a season of many firsts for me as I compete in my first full season in the ARCA Series. 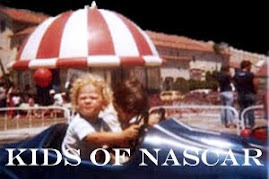 Nashville, like Daytona and many more tracks to come, will be all new experiences. I’m putting a lot of work into preparing as much as I can for the long season ahead." 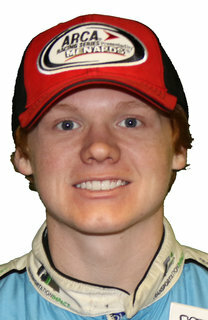 Richard Petty Motorsports (RPM) development driver Thad Moffitt, grandson of seven-time Cup champion Richard Petty, will make his fourth ARCA Racing Series presented by Menards start this weekend, in the Petty Blue No. 46 at the legendary Fairgrounds Speedway in Nashville, Tennessee. Moffitt, 17, comes into the 200-lap race more prepared than ever in his young career. 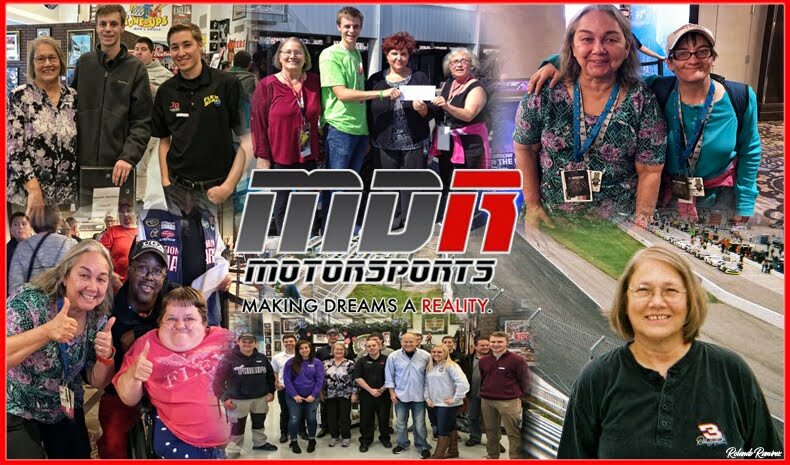 He competed in three ARCA races in 2017, progressively improving each time, coming away with a career-best 11th-place finish at Lucas Oil Raceway. "We were one lap away from a top-10 in Indianapolis," said Moffitt about his last ARCA start. "We had a great race, but I think I had more confidence after racing both Nashville and Toledo in the ARCA Racing Series. I just learned a lot last year and feel that I can use that knowledge this weekend coming back to the Fairgrounds Speedway."